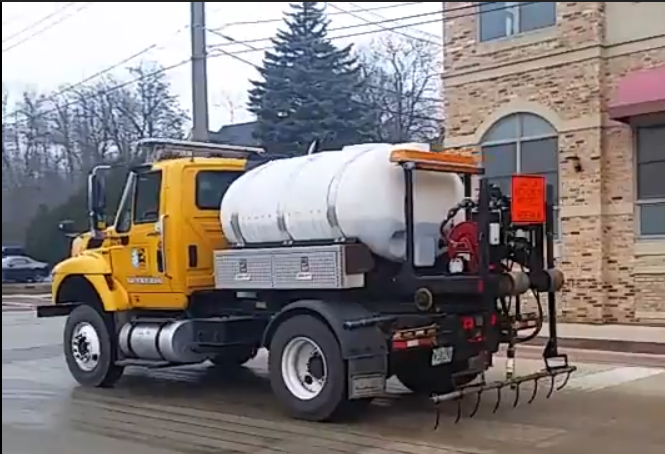 In past winters, road salt has been in high demand in our area. Taking a sensible approach to salting the roads is important both economically and environmentally. Using salt efficiently reduces costs. Less salt on the roadway also means less runoff into the Fox River and less absorption into the ground. Our Public Works Department uses both brine and salt to keep St. Charles roads free of ice and to assist the plows in clearing the snow. We salt the road with rock salt specially treated with a blend of chloride solution and organic materials. The blue, treated salt is wet coming off the truck which allows it to stick to the pavement, instead of bouncing into the parkway. This treatment also activates the salt right away, reducing the time it takes to melt ice, and it makes it more effective at lower temperatures than untreated salt. We salt as we plow the main roads and intersections, bridges, and hills as necessary to enhance vehicle traction. However, salt is generally only applied to residential streets once the snow has stopped falling. 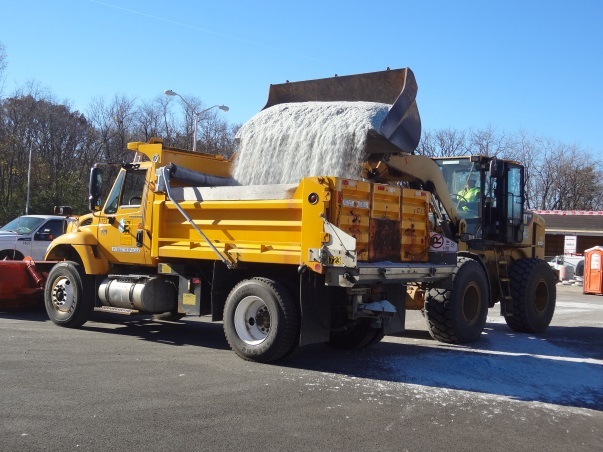 This ensures that our trucks are not pushing the salt off the road as they continue to plow these areas. “We’re constantly monitoring the weather, which can change quickly, so we can determine the best procedures for keeping the streets clear and safe for travel,” Reineking said. For more information, contact the Public Works Department at 630.377.4405.